It was the first day of autumn yesterday and the weather is getting colder. 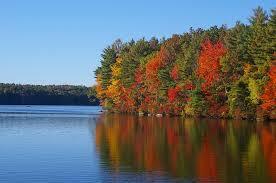 The foliage will start to get really colorful and beautiful. There are lots of fun times to be had both as individuals and as kids. I loved romping around in the backyard with my brothers as a kid; the foliage would increasingly change colors, and we had the time of our lives throwing leaves at each other and even helping my parents rake them. As autumn is still at the beginning of the school year there is much to discuss. There are holidays like Halloween and Thanksgiving and a lot to learn regarding the weather, and the science of the season. I’d like to address some safety points for this time of year. Child Safety – Make sure to follow the laws with regard to school buses. Watch out for those kids crossing the street or chasing a ball. My dad always cautioned us even when we weren’t yet drivers, “if you see a ball rolling into the street, chances are there’s a kid running after it”. The nights are getting longer as we go from Daylight Savings Time to Standard Time. When driving home from work, kids may still be out and hard to see them in the dark. Click here for more information. Road Safety – Roads can start getting icy and foggy during autumn. Before starting the car in the morning watch your step for thin ice, and make sure to totally defrost your windshield, windows, and mirrors so you have clear vision. Always use low beams to enhance your visibility in foggy areas. Keep your car well stocked with the fluids it needs, check your wipers, lights, heat, and defrost. Rainstorms can be quite hazardous during this season as I mentioned earlier the leaves can be slippery along with heavy amounts of rain and possible flooding. The roads may still have some residue left from the summer driving composed of oil remnants, dust , dirt, and rubber. If your car starts hydroplaning, don’t brave the storm. Slowly pump your brakes and pull over until the storm subsides a bit. When driving, it’s nice to admire the changing foliage. It can be absolutely gorgeous and breathtaking, but for nature lovers it can be hazardous while on the road. Pull over the car and snap away with your camera, just don’t do it while driving. 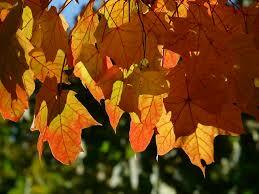 Leaves gathered in the streets can end up being slippery whether from rainfalls or the leaves decomposing. Don’t brake at the last minute, just keep safe. Check your tires and brakes while you’re at it to make sure they are in good shape for these seasonal conditions. When driving, be careful of crossing deer or any other large animals. Read more from esurance. When the climates change, wildlife is seeking shelter. Rats, mice, squirrels and other rodents may seek shelter in your home. I know that’s creepy and you’ll set some traps. Make sure to keep any of those poisons out of pets and children’s reach. Click here to read more. Sickness – In this type of changing weather, getting a cold or the flu is very common. 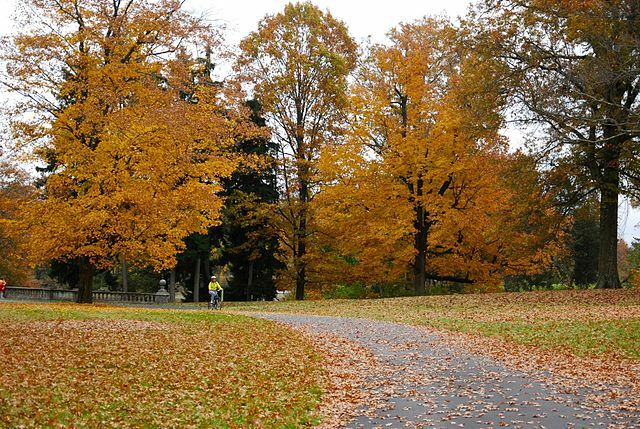 Allergies can come about through the rotting of leaves, plants and greenery. Allergies can cause sneezing, spread germs, and cause skin rashes. Keep in touch with your doctor not just Dr. Google. Sunlight – One more interesting tidbit is, although the sky may be cloudy, UV rays are still existent and proper caution should be taken. Additionally, there still may be some really sunny days with temperatures rising. NEVER leave a child in a car unattended, whether due to heatstroke or any other reason. Read more here. Yard Work – When working in the yard, make sure to use a rake or any other tools which are strong and supportive. Don’t use tools that will strain your back such as rakes that are too short. Wear protective gear when raking, mowing the lawn, or pruning trees and bushes. Never remove something stuck in a lawnmower or other similar machine without shutting off the engine. Even then, take care to wear gloves and remove the obstacle with another object like a branch or pole. See more safety tips from the NSC. Here’s a nice short and sweet safety video I thought you’d enjoy. I hope that everyone enjoys this season; it’s the beginning of a new school year, with lots of new opportunities and exciting things to look forward to. The main thing is, take care of yourself and those nearest and dearest to you. Next Boat Donation – Why do it?